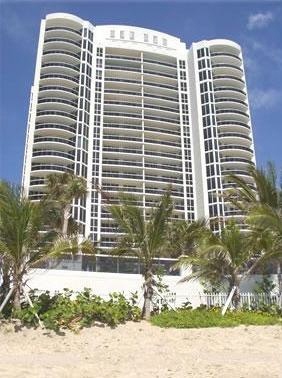 L Ambiance Fort Lauderdale, L Ambiance Condominium and Condos on Fort Lauderdale Beach. 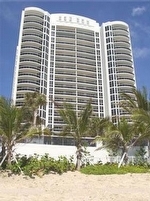 Fort Lauderdale oceanfront condos for sale at L Ambiance. 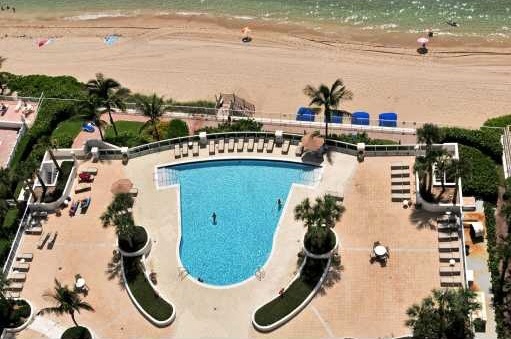 The L' Ambiance oceanfront condominium and condos offers one of Fort Lauderdale's most exciting residential resort lifestyles. 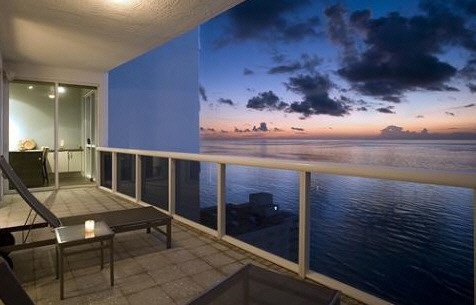 Located directly on the ocean and the white sand beaches of Fort Lauderdale's Galt Ocean Mile. Listen to the surf and enjoy a breathtaking panoramic view of endless blue water and white beaches from your L' Ambiance private terrace. Secluded within a lush and colorful tropical paradise environment. Your condominium residence is located within walking distance of many fine restaurants and shopping. 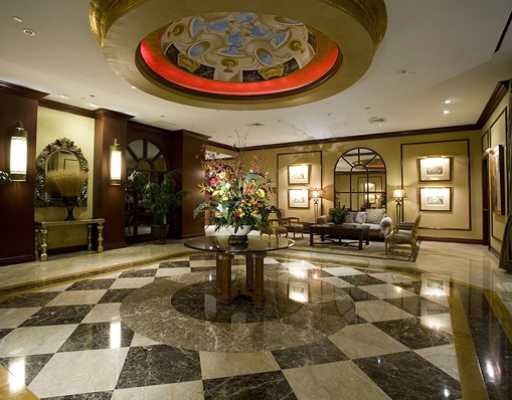 The L'Ambiance Beach condominium features 24 hour Security, Valet, Gym, Sauna, Business Center, Sports Lounge, Heated Pool, Social Room, Wine Room, and Business Center and more. Your L' Ambiance condominium home is the pinnacle of luxury. A gracious, double door entry opens into your magnificent home showcasing all the interior space and privacy of a single family residence. Each L'Ambiance condominium residence is surrounded by lovely terraces and glass railings offering some of the finest views of the ocean, beach, Intracoastal and city in Fort Lauderdale. 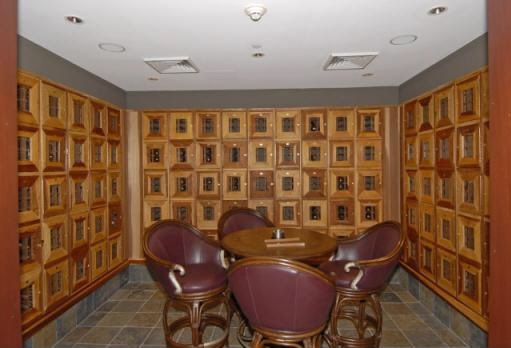 You can easily see why life at L' Ambiance in Fort Lauderdale can offer an incredible living experience. Every residence in L'Ambiance features a double entry door, offering elegance and style. 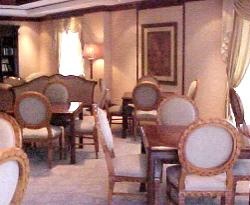 In addition, you will find many other benefits in every room. Three different tower sections offer you luxury accommodations; the Cannes, Astor and Bristol all offer you different configurations. Every unit features immaculate European kitchens, with rich wood cabinets and granite countertops. Roman tubs and marble floors make the master baths comfortable and beautiful. 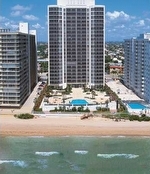 The Cannes - 2 bedrooms, 2 baths, 1,836 square feet and a den/extra bedroom make up the residences in this tower section. Large, spacious terraces face west, offering you expansive views of the Intracoastal Waterway. The Bristol - 2 bedrooms, 2 ½ baths and an optional third bedroom and bathroom. Units are 2,318 square feet and offer a spacious terrace overlooking the Atlantic Ocean. The Astor - Features 3 bedrooms with a den and four and ½ baths. All units in the Astor section offer a flow-through floor plan, which includes a balcony overlooking the Atlantic, as well as another balcony overlooking the Intracoastal waterway. Enjoy sunrise and sunset views from your home, each and every day. The Astor floorplans are the most spacious condominium homes at L' Ambiance. An elegant double door entry opens into your magnificent home showcasing all the interior space and privacy of a single-family residence, each creative design is expanded even further by lovely terraces and glass railings. Dramatic views through walls of tinted sliding glass bring sensational ocean and sunset panoramas into luxuriously-appointed living areas.